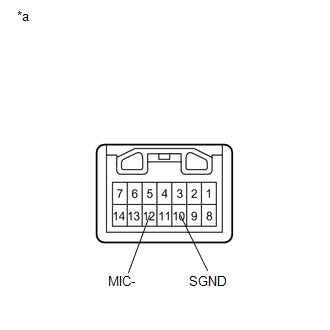 The radio and display receiver assembly and inner rear view mirror assembly (amplifier microphone assembly) are connected to each other using the microphone connection detection signal lines. (b) Disconnect the P12 inner rear view mirror assembly (amplifier microphone assembly) connector. 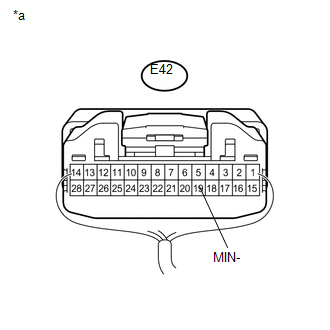 (a) Remove the inner rear view mirror assembly (amplifier microphone assembly) (See page ).